Hans-Josef Fell was member of the German parliament from 1998 to 2013 in the Alliance 90/the Greens group. 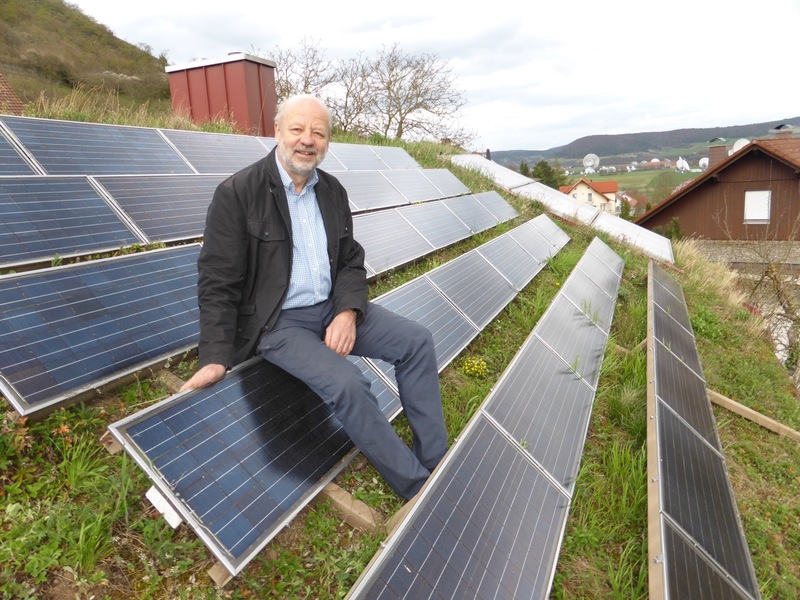 He is the co-author of the German Renewable Energy Sources Act 2000, and president of the Energy Watch Group. On 22 April, the European Union along with other countries will be signing the Paris Agreement in New York. We will see photos with smiling faces and certainly hear statements celebrating the EU’s “leadership” role in reaching the historical climate deal. Yet in reality the EU has been largely failing on climate action. In fact, it has ignored the Paris Agreement by refusing to raise its climate ambition in line with new global targets. Last month, the European Commission announced that its old goal of 40% emissions cuts by 2030 was still valid and postponed a review of its 2030 climate targets until 2023. To achieve the 1.5°C global temperature goal, the EU urgently needs to raise its climate and renewable energy targets. For years, the EU has kept using its favourite excuse; it does not want to act alone. Meanwhile, other countries have far outpaced the EU. Today, China, Costa Rica, and Morocco do more on climate. And whereas renewables are booming in the developing world, clean energy investments in the EU fell by 21% in 2015 – the continent’s lowest figure in the last nine years. The long-term goal of limiting the global temperature increase to 1.5°C, adopted by 195 countries in Paris, implies that the EU must accelerate its greenhouse gas emissions reduction. According to a recent New Climate Report, the world needs to decrease CO2 emissions to zero by 2035. The industrial countries, including the EU, would have to do so even earlier. In line with the Paris commitments, the EU must switch to a zero-emission economy before 2035. To decarbonise all economic sectors in the coming decades, the EU needs a new and ambitious climate strategy now. Firstly, the EU should send a strong signal to investors of a shift from fossil fuel to renewable energy sources. The EU should support the rapid deployment of renewables by introducing feed-in-tariffs and improving energy efficiency. The shift should and can succeed without the use of dangerous nuclear and carbon capture and sequestration (CCS) technologies. Science has proved that a 100% renewable energy-based system by 2050 is not only feasible but also economically profitable in most parts of the world. As the costs of renewable energy technologies constantly decrease, targeted support for research and innovation could bring about a global energy transition even earlier. Science has also showed that all new investments in fossil fuel-based power generation are stranded. The recent bankruptcy of the world’s largest private coal company Peabody is a warning to European politicians: the era of coal is over. The new EU climate strategy should include a rapid coal phase-out and encourage businesses to divest from all fossil fuels. Secondly, the EU should finally expand energy transition to its transport sector. This means an active support to electric and hydrogen mobility and banning production and sale of emitting cars from 2025. The Netherlands is already taking its first steps in this direction. Thirdly, the EU should support regenerative organic agriculture, including re-greening of degraded lands and the use of biocoal which would create carbon sinks. Finally, the EU should introduce measures to use only sustainable, non-fossil-based raw materials in organic chemistry, including a wide-scale market introduction of bioplastics. Many would want to wave away these proposals as unrealistic. And my answer is this: you have to believe in seemingly unrealistic ideas in order to make them a reality. Back in 2000, people thought Herman Scheer and I were crazy to believe in renewables and to support their market entrance with legislative measures and feed-in-tariffs. What seemed to be unrealistic then has now turned into one of the biggest export hits of Germany. Renewables keep growing rapidly worldwide and new renewable energy installations are now cheaper than new fossil fuel and nuclear power plants. In 2015, renewables attracted twice as much investment as coal and gas facilities and added more to global energy generation capacity than all other technologies combined. A skyrocketing growth of renewables was only possible due to clear signals to investors. If the EU sends clear signals of decarbonising other sectors, swift growth will become a reality. The EU has already been a leader in renewable energy in the past. Yet, due to the wrong political signals, it lost its positions to other players. In 2015, we have seen that the reduction of greenhouse gas emissions can go hand in hand with economic growth. Divesting from fossil fuels and investing in renewables is no more only a question of climate protection, but of a secure economic profit and growth. Therefore, international and German businesses are calling for increased climate ambition. The question is whether the European Union wants be among the economic winners in a new decarbonised world.